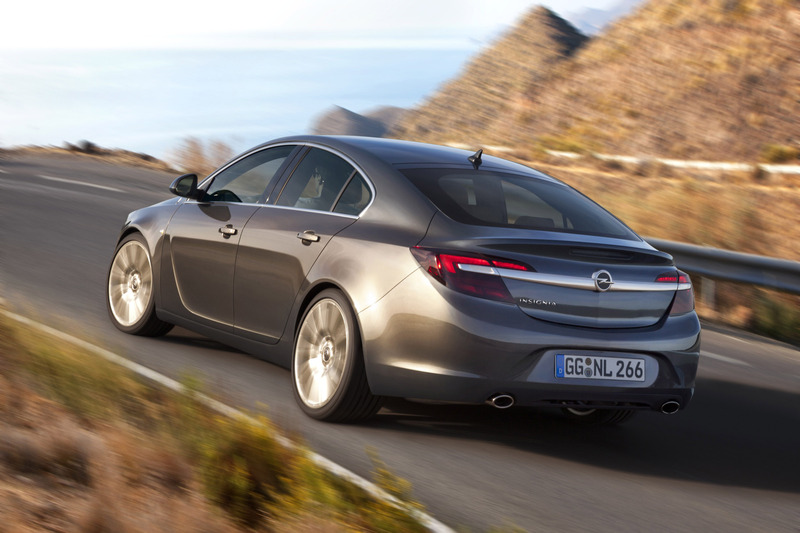 The Opel model offensive moves to the next level with the new Opel Insignia that celebrates its world premiere at the 65th Frankfurt Motor Show (September 12 - 22, 2013). 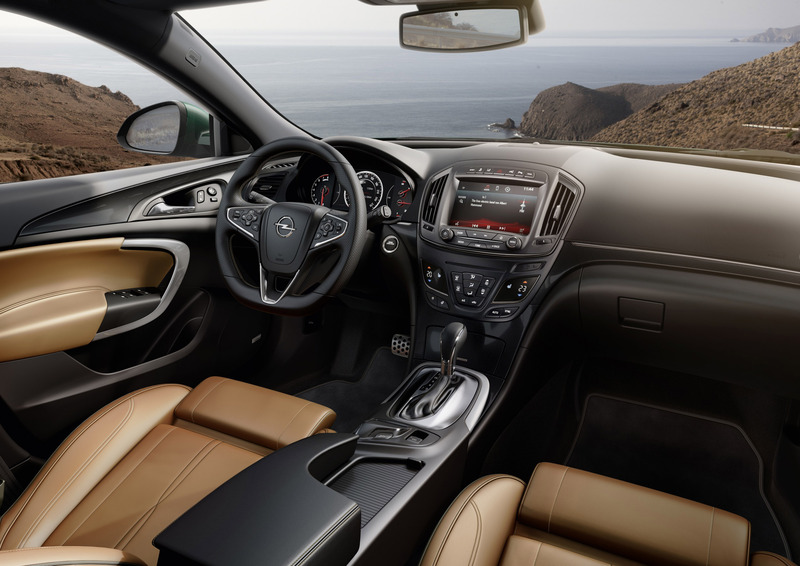 The top model shines with even more attractive interior and exterior styling, taking the award-winning design philosophy "sculptural artistry meets German precision" to the next level. New powerful and ultra-efficient direct injection engines like the two new-generation Turbo gasoline units and the 99 g Turbo diesel expand the wide portfolio. This minor emission puts the new 2.0-liter turbo diesel engine in the A+ efficiency class. Both variants (the 88 kW/120 hp and 103 kW/140 hp according to EG Nr. 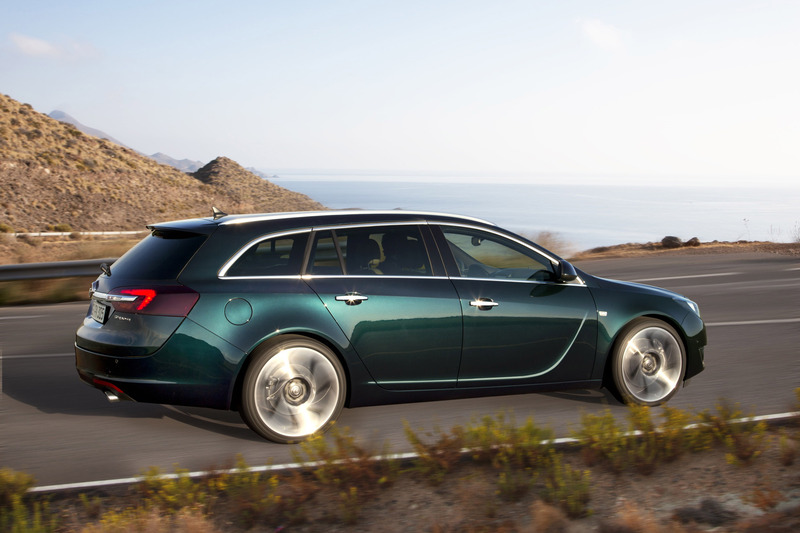 715/2007) consume either as the four or five-door model with six-speed manual transmission and Start/Stop system just 3.7 liters of fuel per 100 km in the combined cycle (Sports Tourer: 3.9 l/100 km). 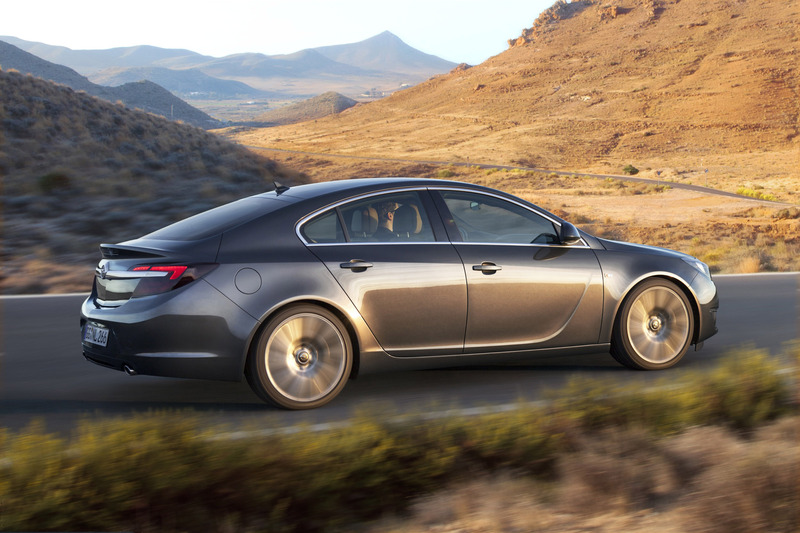 Therefore the Opel Insignia 2.0 CDTI is the most fuel efficient diesel car in its class. 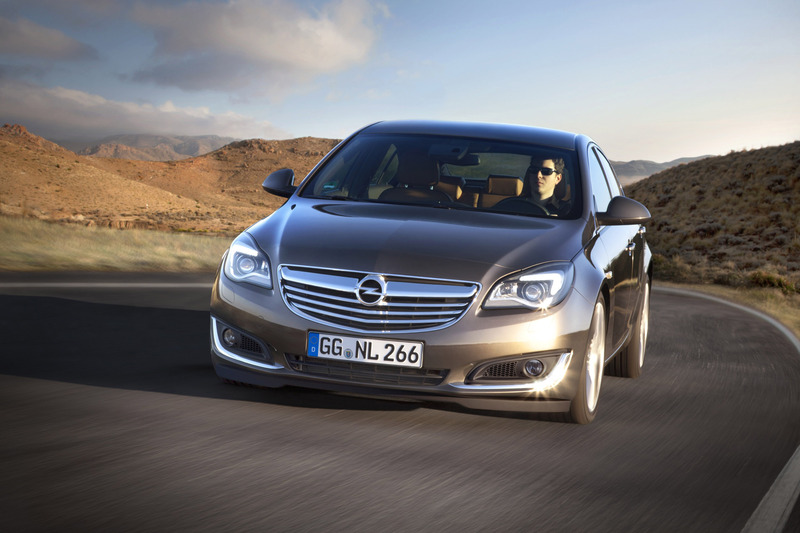 "The successful Insignia has already won 580,000 Opel drivers. The new Insignia will thrill even more – with a more expressive design, high-quality cockpit, intuitive operation of infotainment systems, exemplary powertrains like our trailblazing 99 gram Turbo diesel," Opel CEO Dr. Karl-Thomas Neumann describes the mid-size model's revolution. "Our flagship is now more sophisticated and eye-catching – but even in midst of all this elegance, don't forget what it's all about: to offer drivers and passengers a comfortable and safe driving experience with state-of-the-art technologies at a really attractive price." 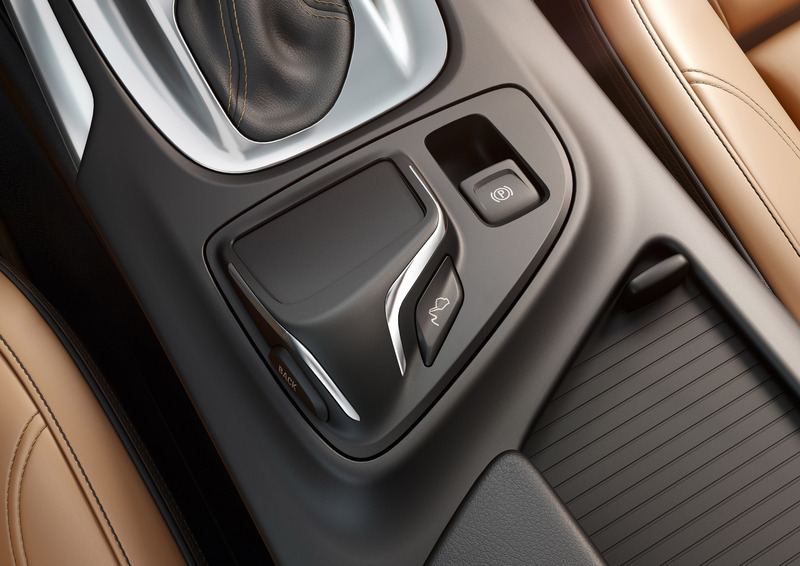 The touchpad is ergonomically integrated in the center console and offers a completely new way of quickly and intuitively accessing the infotainment system. Its illuminated, touch-sensitive surface reacts immediately to finger movements including haptic feedback and makes operation of the new infotainment generation child's play without distracting the driver from the traffic situation. Even individual letters – for instance when searching for a song title in the database or a city in the navigation system – can be entered by fingertip on the touchpad. Intensifying the man-and-machine connection is the newly designed instrument panel with an up to 8-inch high-resolution color display. In addition to the classic readouts like speed, rpm and fuel tank level, further information on navigation, smartphone use and audio options are directly in the driver's line of sight and can be adjusted. 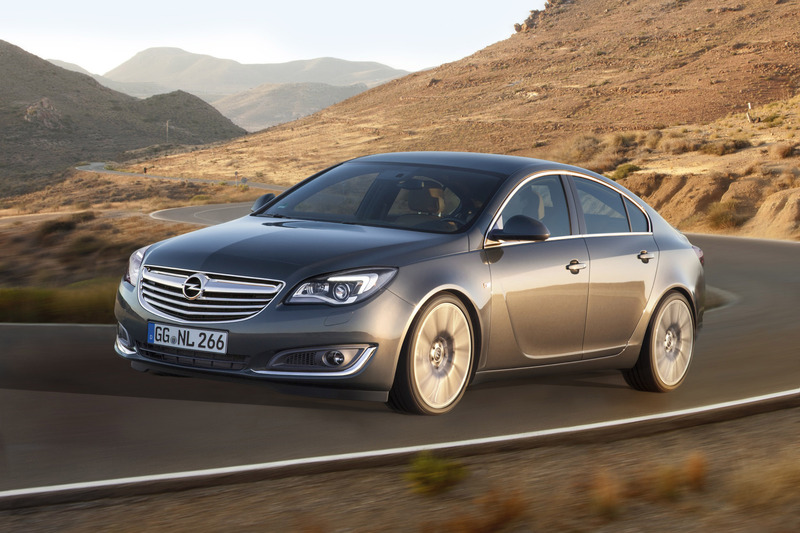 An alternative and extremely economic powertrain option is the 103 kW/140 hp Opel Insignia 1.4 LPG with maximum torque of 200 Nm. It meets – like its petrol version - the stringent guidelines of the future Euro 6 emissions standard. 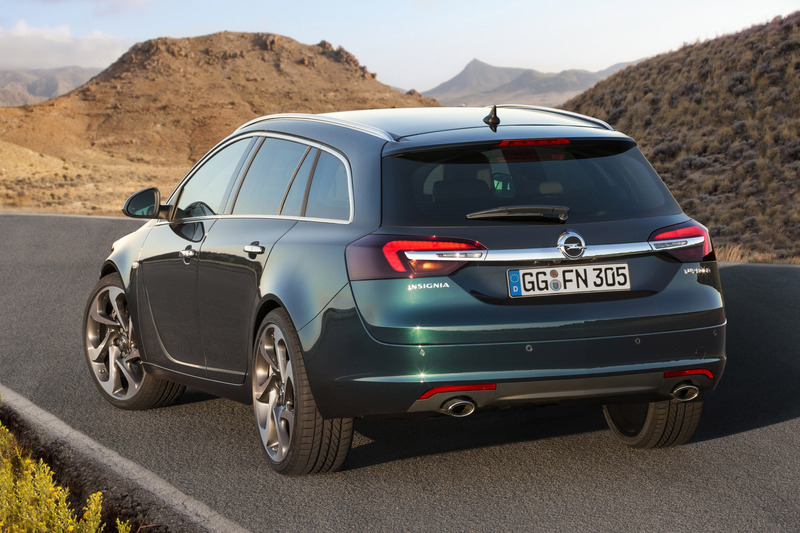 With fuel consumption of 7.6 l/100 km (Sports Tourer: 7.9 l/100 km) in the MVEG combined cycle and low CO2 emissions of 124 g/km (Sports Tourer: 129 g/km CO2), the Insignia LPG model is unrivalled in efficiency class A. The new Insignia evolves the multi-award-winning Opel design philosophy "sculptural artistry meets German precision" in the mid-size segment. The design theme articulates premium aspiration and dynamics with an unmistakable low-and-wide front graphic to visually pronounce its wide stance. The high-gloss chrome grille is wider and lower than before. 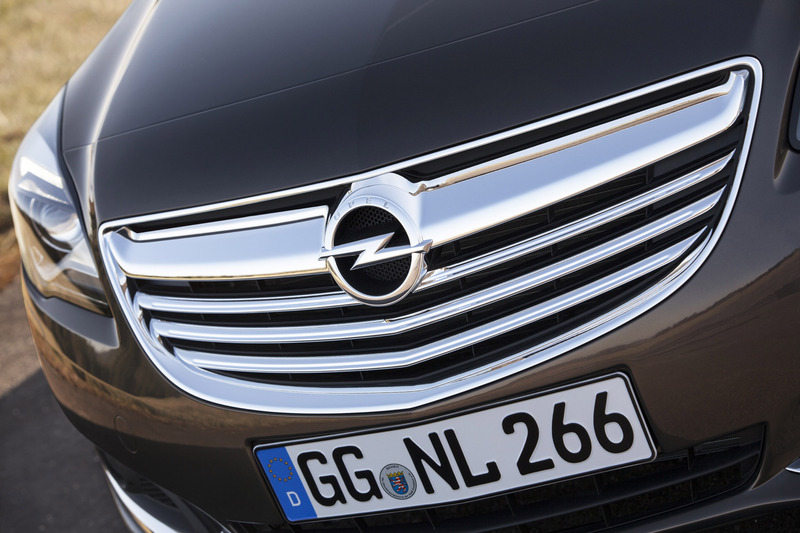 The brand bar that cradles the Opel logo is leaner and includes winglets that link the eye to the re-designed headlamps. Depending on trim version, these come with bi-xenon lamps including the safety lighting system AFL+. All headlamps are executed in high gloss black with embedded chrome accents that enhance the technology within. 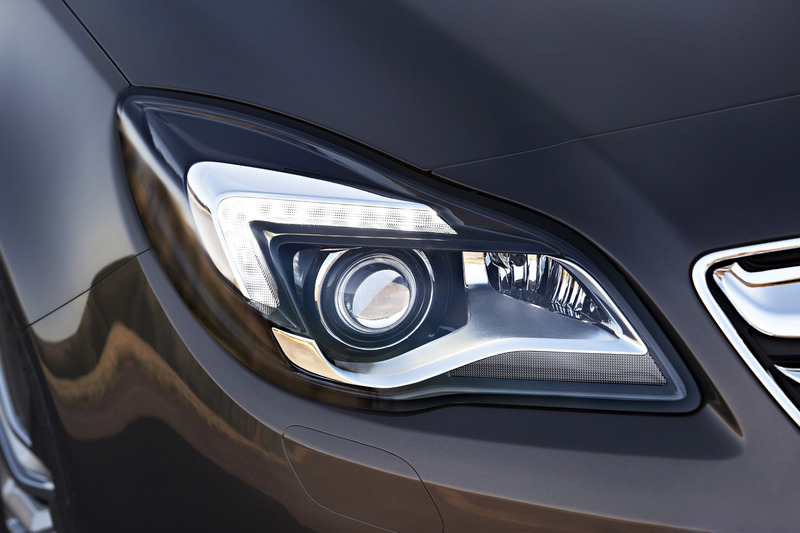 The up-level headlamps include a wing signature daytime running light featuring energy-saving LEDs. The lower front fascia inserts are designed to appear slim and wide, in order to emphasize the upper grille size. Fog lamps are combined with wide black inserts and chrome accents. These grow from thin to thick as they near the wheelhouse to pronounce the width of the front design and the Opel Insignia's top-class design. 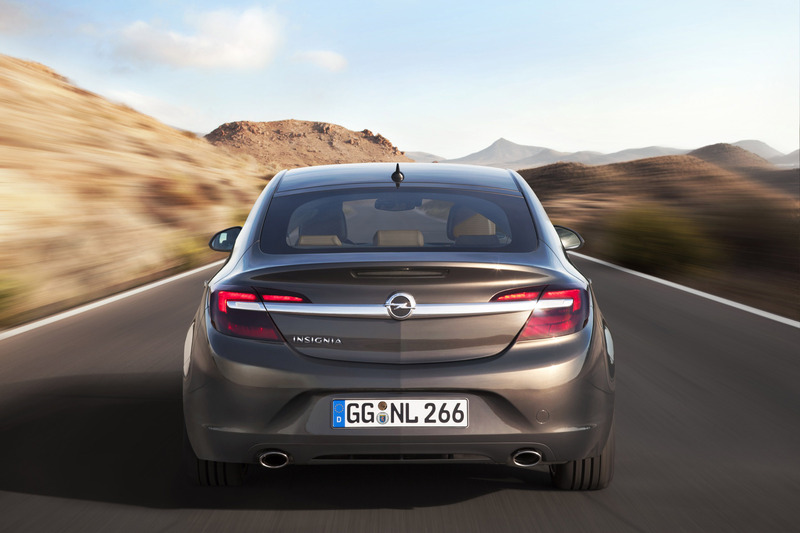 This is also echoed in the rear, where the new Insignia features a wider and lower proportioned rear end design. The high-gloss chrome brand bar has been positioned lower on the tailgate and includes the brand logo. It extends into the tail lamps to include the slim-look reverse functions. 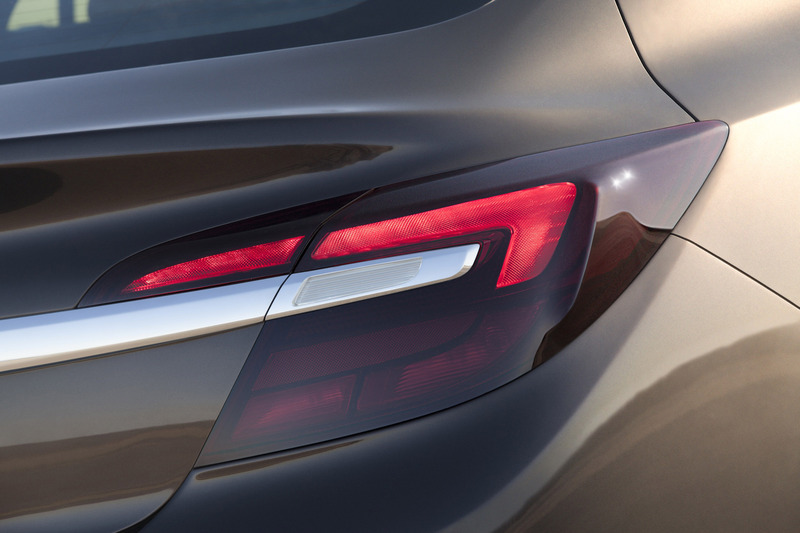 The tail / stop functions of the split 2-piece tail lamps are executed as LEDs on all levels for sedan and hatchback. Characteristic for all body versions is the light design as a sharp "wing" signature. 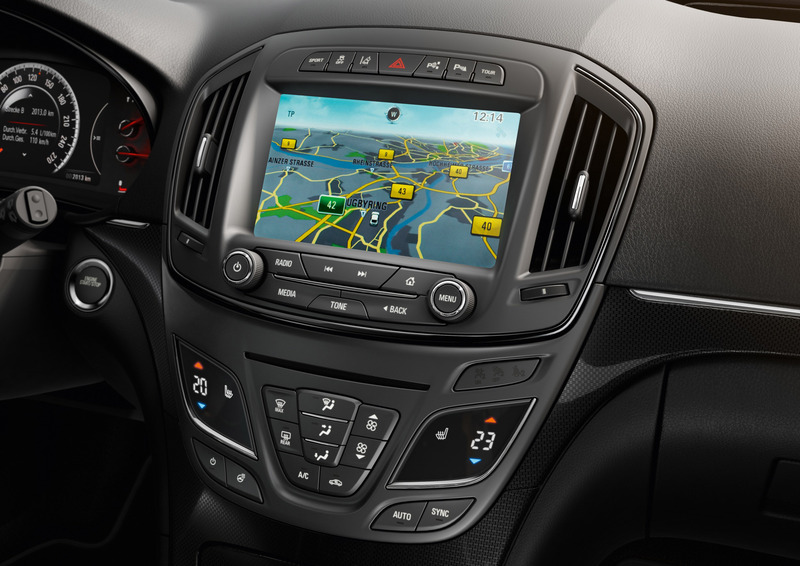 The new Opel Insignia also offers a host of technology, safety and comfort highlights. These include state-of-the-art radar and camera-based assistance systems ranging from adaptive cruise control to side blind zone alert, forward collision alert and premium seats with the AGR seal of approval and the keyless entry and start system "Open & Start", to name just a few.